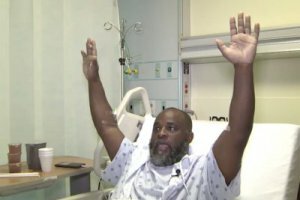 I’m sure you’ve seen the latest incidence of unnecessary police brutality – a black healthcare professional named Charles Kinsey who was shot while on the ground with his hands up as he desperately tried to calm his autistic patient. I hope you’re outraged and appalled. And I hope you’re tired of the violence. I am. The speaker is Polly Tommey. Polly Tommey has a long history of bad autism advocacy. When people think of the autism parents who just do advocacy wrong, they are thinking of people like Polly Tommey. She’s been a voice in the “vaccines-cause-autism” movement for a long time. She’s worked with Andrew Wakefield (whose unethical actions in relation to disabled patients at his hospital lost him his medical license. To name one of his many failures). This in itself demonstrates bad judgement and poor reasoning. Recall that Andrew Wakfield fictionalized an account of a parent murdering her autistic child, framing it as an act of love.